There is a richness in European sources you can’t find anywhere else. “HEMA” encompasses an enormous amount of different weapons and disciplines, spanning over 5-6 centuries, depending on how you count it. 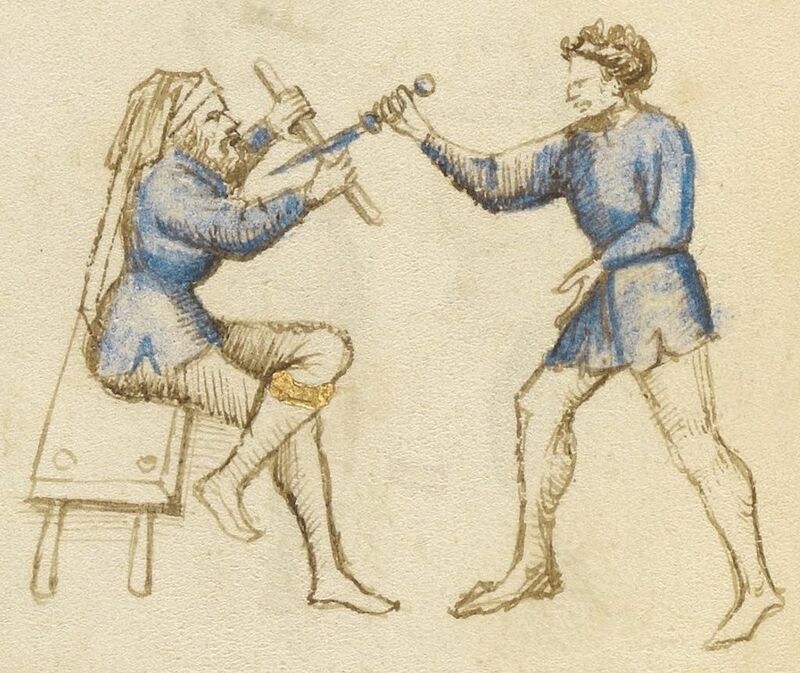 The Wiktenauer “Weapons” page, which doesn’t really give a full idea of the scope of HEMA – it doesn’t include wrestling, pugilism, nor the different varieties of staff/pole/peasant weapons. Yet only a few of them are at the forefront of HEMA – longsword, rapier, saber, sidesword, sword and buckler, messer, wrestling and smallsword. All the others seem to be a rare occurrence, something practised by study groups within a club, rather than being the centre of attention. Unless, that is, you go to a big event with lots of seminars – for some reason, there are always a few weird classes, focused on flail, scythe, messer and dagger or something else equally weird and rare. Now, sometimes these are run by experienced practitioners who have a solid foundation in a variety of weapons and who introduce something curious to show people exactly how big it is. But sometimes, they are not. Sometimes, these seminars are run by people who choose to pull out the “unique” and “special” for purely marketing reasons. Then a group gets enamoured with the idea of being special and they start “studying” the romantic rapier and cape, long before they have developed a serious curriculum and structure on how to study the single rapier. The brutal combo of sword and grass was especially useful against lions. I have been hesitant to criticise these practices, as they are in part a symptom of one of the main drives in HEMA – curiosity. But more often than not, they are also a symptom of wanting to be special. In the same category you have people who have just started longsword, but due to some childhood fascination, they are transfixed on the Scottish claymore (the two-handed early greatsword, not the basket-hilted one). Or they are wondering why there are no “manuals” to show them the special techniques of the mace and the warhammer. I’ll tell you a secret – there are no such treatises because there was a multitude of “different” weapons in Europe in the span of those 6-7 centuries that were functionally not all that dissimilar. A mace is just a stick with some weight on one end. A scythe is just a polearm with a crappy blade in a weird orientation. A sickle is just a really, really bent knife. This is how I wanna be special – horsebackdrinking is definitely unheard of. The fundamentals of the Liechtenauer tradition, for example, are presented through one weapon alone – the longsword. Everything else – be it sword and buckler (in Talhoffer, Kal and Liegniczer), messer (in Leckkuchner, Talhoffer, Pauernfeindt, etc.) is just an addition. The base is in longsword, all the other weapons are little side buildings. A capable fencer who has learned longsword properly for some time should handle any weapon competently. And if he knows his messer and arming sword, he will easily use maces, warhammers, sticks and whatever else one-handed weapon there is. Remember Meyer and his dussack, which is the basis for learning all one-handed weapons, including the vastly different rapier? Or let us look at Fiore, where one move is shown with longsword in one hand, then in two, with dagger, without a weapon? The “techniques” he shows with “unique” weapons such as the baton or a thick branch are not really different from others we see with the more fundamental weapons. Hell, even some of his spear-on-horse techniques are practically the same as with longsword. There is nothing wrong with being curious and exploring the vastness of HEMA. But without a proper foundation, you will be building towers that topple over onto each other at the slightest breeze. And what makes HEMA practitioners and instructors really unique is not that one scythe class they do twice a year, but their approach to training, their curriculum and understanding, the different drills they have tested and perfected through years of practising and training. HEMA is not the weapons, but how you use the weapons. If you want to be known and remembered, make that special.